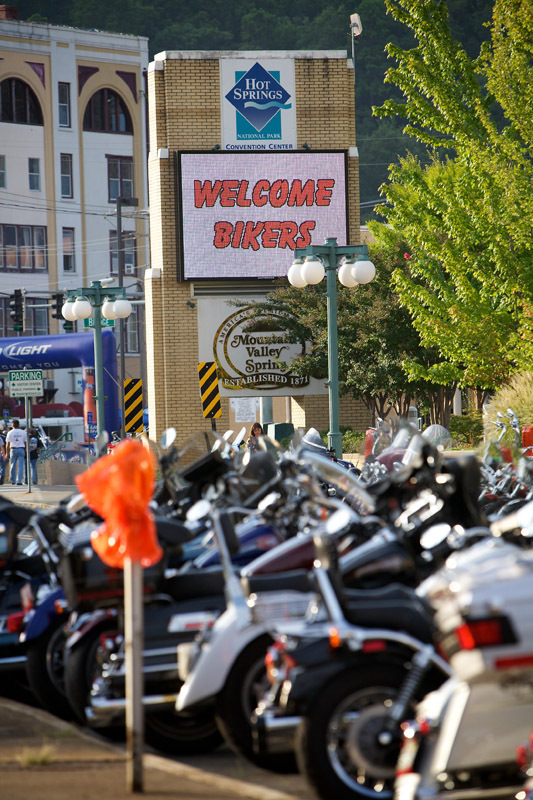 One of the largest motorcycle shows will once again be in Hot Springs Sept 5-7, 2013. The 8th annual Hot Springs Rally brings together riders of all types of motorcycles for a fun and entertaining weekend. Events this year include a large parade through downtown Hot Springs, 2 poker runs, bike and non-bike field events, biker bingo and a huge vendor mall. Entertainment for the rally will be Lee Brice on Sept. 6 and Grand Funk Railroad on Sept. 7. Weekend rally passes are $50 for all access, $35 for rally only (no concerts) or single day passes for $25 which include access to the vendor mall and that evening’s concert. Early registration ends August 1, 2013 and includes a free rally t-shirt. If you are searching for Hot Springs lodging, our bed and breakfast offers covered bike parking, and because of our location, the “rumbling” of bikes won’t keep you up all night! If you don’t own a motorcycle but still enjoy “looking”, the rally is great entertainment for spectators as well.